Serving Iowa City's Photography Needs for over 20 Years. From 8×10 prints – to 40×60 portraits – We are ready to serve you with the best prin ng services in the Iowa City Area. Meet our printers – a pair of the latest model of Epson wide-format 44 inch printers. 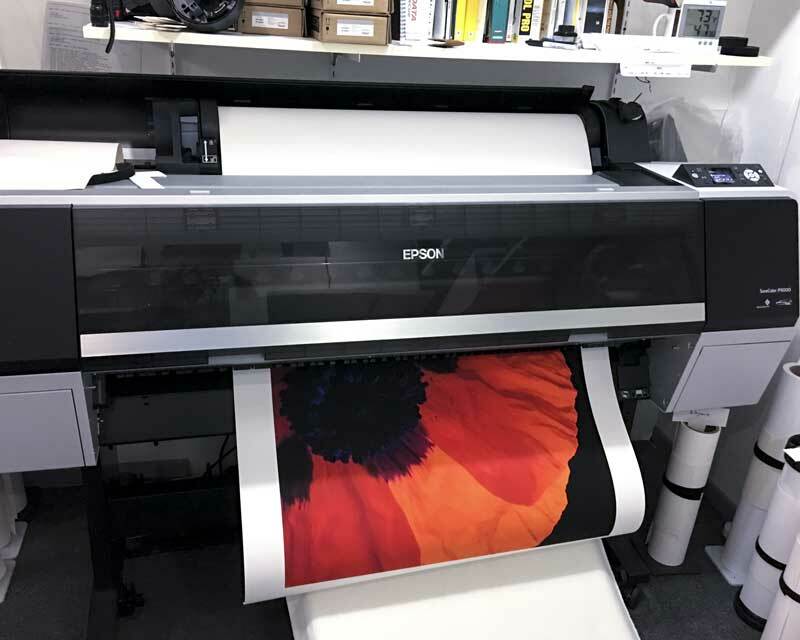 The new Epson SureColor P9000 printers use pigments rather than dyes to produce outstanding prints with spectacular colors, the finest image details, and outstanding archival qualities. Wilderness Studio has a pair of the new Epson SureColor P9000 44‐inch‐wide pigment ink printers. The Printers utilize Epson UltraChrome HDX pigment inks that have outstanding archival permanence. The color prints that we produce can last for 200 years without fading. We print onto a wide variety of media, including Fine Art photographic papers and canvases. The canvas prints are coated with a UV‐blocking print coating that helps the canvas print to resist fading, fingerprints, and smudges. We will produce a canvas gallery wrap print from your photographic image – by hand in our Iowa City Area Studio. We use the highest quality canvas and extra heavy wood stretcher bars to create a work of art that is 3-dimensional and museum quality. The gallery warp process stretches the canvas around a wood frame, with the staples hidden on the back. We present the entire image on the canvas front, and we clone the borders of the image to continue the print around the sides of the frame. We can also print the sides of the print with a solid color. This contemporary and up-scale technique will turn your photograph into a work of art that looks more like a fine art painting than a photograph. This is especially true when we finish the print with a true Matte surface coating that blocks reflections and wrap it onto an extra-deep 1 ¾ inch frame. The Gallery Wrap canvas print is ready to hang on your wall without a frame. We print onto a number of Fine Art papers, including Breathing Color, Canson, Epson, Hahnemuhle, Moab, Museo, and Red River – using Epson Pigment inks that can last for 200 years without fading. The prints have a 1-inch white border on all 4 sides. Other sizes and other border widths are also available. We specialize in Gallery Wrap Canvas Prints! We clone the edges of the image to wrap around the stretcher bars – without losing any of the original images. We print onto Breathing Color Lyve canvas – recognized as the highest quality canvas available – using pigment inks that can last 200 years without fading. The canvas is coated with a Matte surface coating that blocks UV light – as well as fingerprints and smudges. The finished canvas is stretched around a 1¾ inch-deep wood frame right in our studio, and the finished print is ready to hang on your wall. The prints have a 3-dimensional appearance – with a matte finish that cancels reflections. 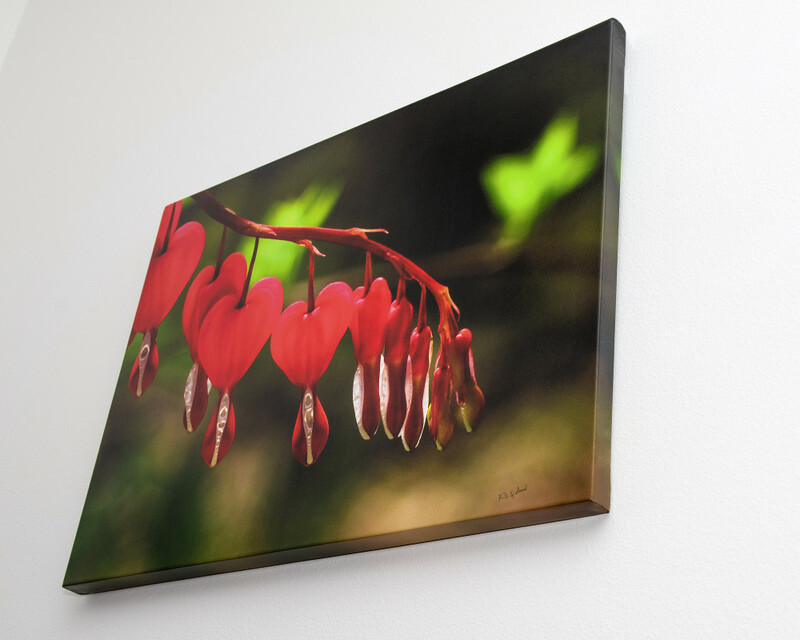 Your images will truly look like a fine piece of Art on your wall. Please call us to talk about your needs.